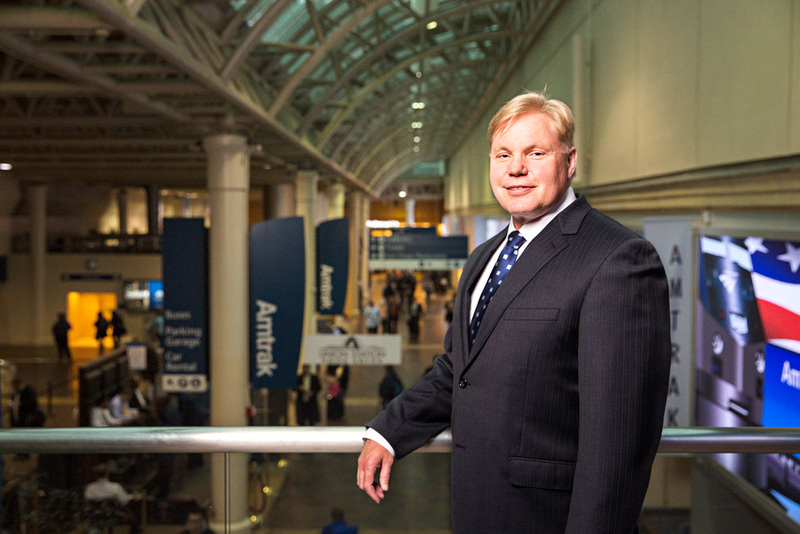 As Amtrak’s chief human capital officer, Barry Melnkovic has guided the alignment of the company’s 20,000 employees to its strategic vision. Amtrak is one of the most well-known brands in North America, but its 43-year history hasn’t confined it to a single business model. In 2011, Barry Melnkovic was named Amtrak’s first chief human capital officer, which also includes accountability for enterprise wide labor relations, diversity, and Lean Six Sigma. For three years, Melnkovic and the company’s executive leadership have helped Amtrak transform its human resources function. Here, Melnkovic discusses how the role evolved, and where it will take Amtrak from here. What do you consider your primary responsibilities as Amtrak’s first chief human capital officer? How do you see your efforts fitting in? Barry Melnkovic: My role is to align our business strategy and people to ensure execution. I would sum up the role as optimizing financial results through people—it’s the diverse talent of our people that drives our success with customers, our financial performance, and most importantly, our high standards for safety and security. Why does Amtrak, or any company, need someone in this role? Melnkovic: It starts with delivering competitive value. Every day, my team and I look for new ways to deliver that value to our business. Amtrak—like many companies—was stuck in a very traditional and transactional place in its approach to human capital. For many years, I think most people would agree that the role was largely reactive in nature, not proactive. I really give our president and CEO, Joe Boardman, credit for aggressively working to address these issues. Mr. Boardman was looking for a transformational human capital leader who would aggressively—and successfully—address these challenges. I think he knew solving them would require bold changes to the way Amtrak structured its employment deal and all of its people programs. He also knew it would require sacrifices and hard choices that not everyone would initially welcome. How are you following Amtrak’s strategic plan? How did you use your expertise, as well as the insight of other senior leaders at Amtrak, to build a human capital strategy? Melnkovic: Human capital is a team sport, so credit for the success of our strategy really goes to many people. Amtrak’s executive committee, led by Mr. Boardman, is very active and fully supportive of our strategy. One of my key colleagues, Peggy Reid, is a great leader who keeps us all on track. She set up standing meetings with executive committee members so I could constantly pick their brains about needs and focus. We also have the benefit of an engaged board of directors comprised of Fortune 500, private equity, and government leaders. When I joined the team, I hosted a series of kaizen meetings to better understand what was working and what needed to change in our approach to human capital. We then conducted multiple surveys of leaders and employees at all levels. I also made it a priority to ride the rails and learn the business at the track level. In doing so, I spent a lot of time not just with our crews, but with our customers, and I heard what they needed and what they wanted. Melnkovic: Talent, talent and more talent: Know our talent, challenge our talent, and unleash our talent. We must continue to execute on our strategy. We have done a lot in the last year to reduce costs while aligning individual employee goals and performance-based rewards with Amtrak’s strategic plan. But we are not done yet. There is more to do so employees understand—and really feel—the connection between their everyday efforts and contributions to the business and our success as a company.